Beer #1117 is a pilsner brewed by Moa in Blenheim, New Zealand. A pretty good pilsner from Moa in New Zealand, malty and bitter in equal measures. The bottle size is 330ML with an alcohol content of 5.00% (containing approximately 1.30 AU / 1.60 UK standard drinks), and it cost me $6.99. 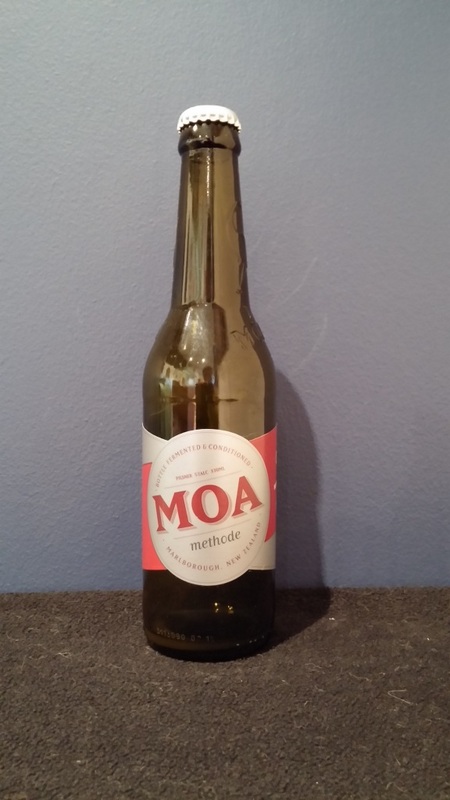 Moa Methode is a natural Pilsner style lager brewed using Champagne yeast. A late throw of Pacifica and Motueka hops impart herbaceous and tropical aromas, Moa Methode finishes with a dry malty spiciness.